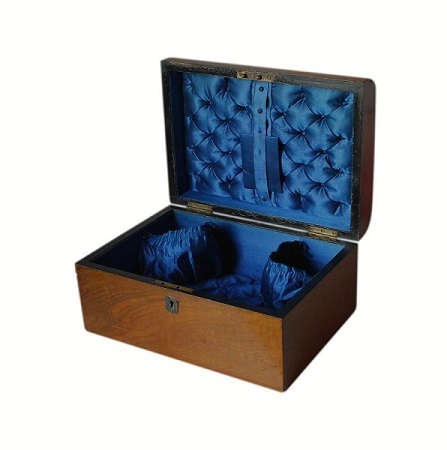 This is a lovely large Victorian box, designed for the storage of both jewellery and sewing items. It dates to 1860/1870. 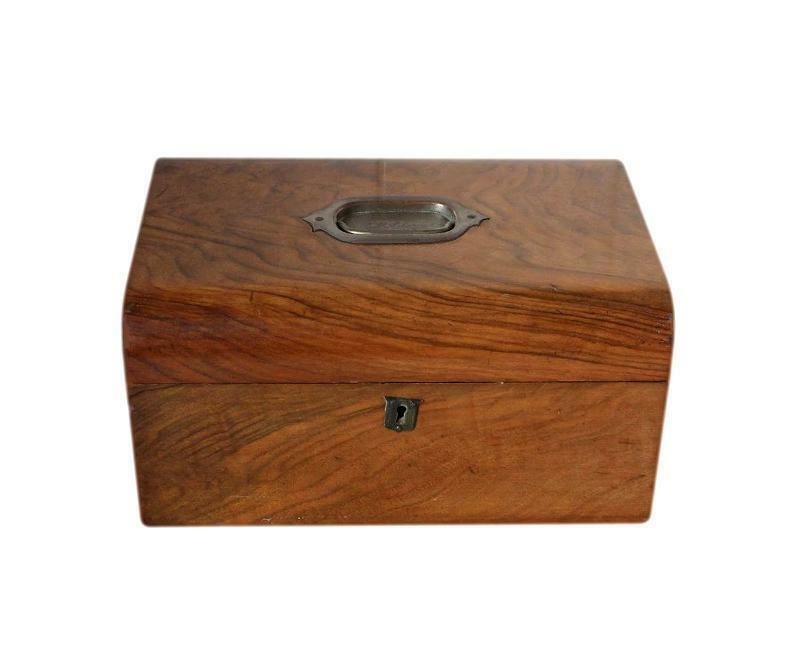 This box has a lovely Walnut veneer which has beautiful figuration. 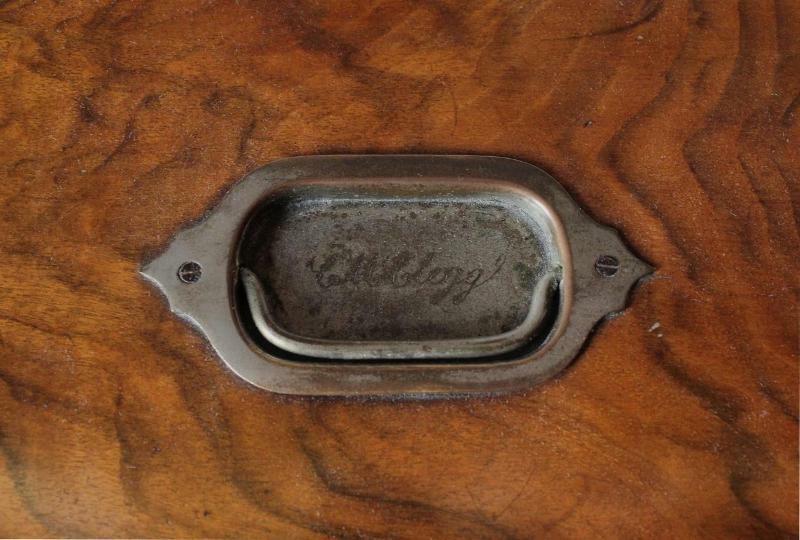 It has its original base metal plate with inset handle on the lid, and also its original hinges and lock. The plate has the engraved name 'C M CLEGG'. There are lovely rounded edges to the front and rear of the lid. There is a shield shape base metal escutcheon to the keyhole. This has been positioned a little off centre. It is still securely attached with its original pins. 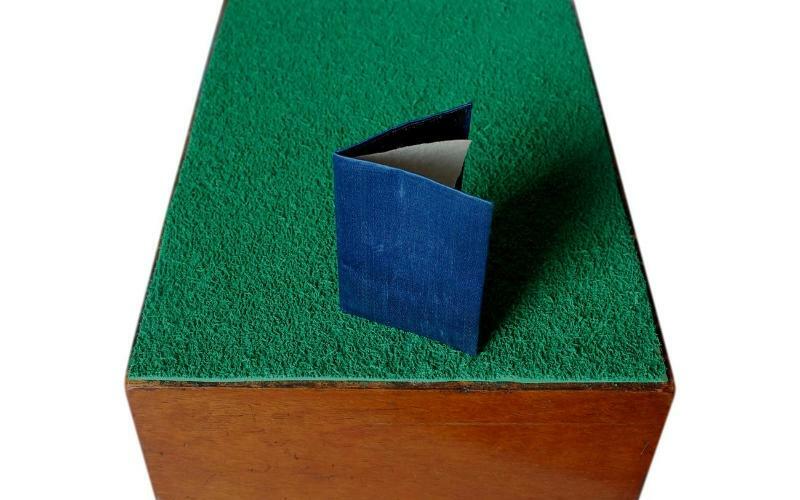 The bottom of the box has a new cushioned felt covering which will protect the surfaces of furniture. The interior is completely original. It has a large, deep, spacious compartment, with two separate storage pouches to the rear. The base of the compartment and the inside of the lid, have their original padded and quilted silk panels. The inside walls of the compartment and lid have their original silk coverings. The pouches are also made of the same silk and are still securely attached with their original brass pins. The silk is a beautiful dark 'midnight' blue shade. 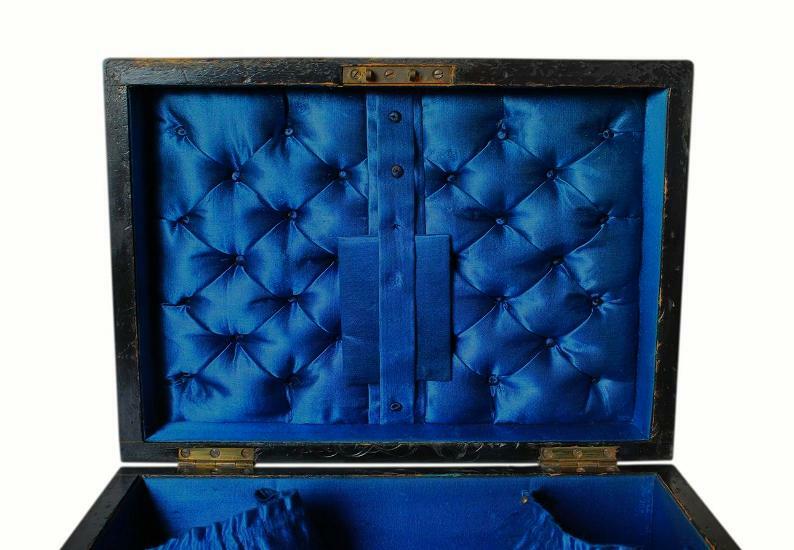 Also in the interior, is the box's original silk covered pin holder, complete with 5 old pins! 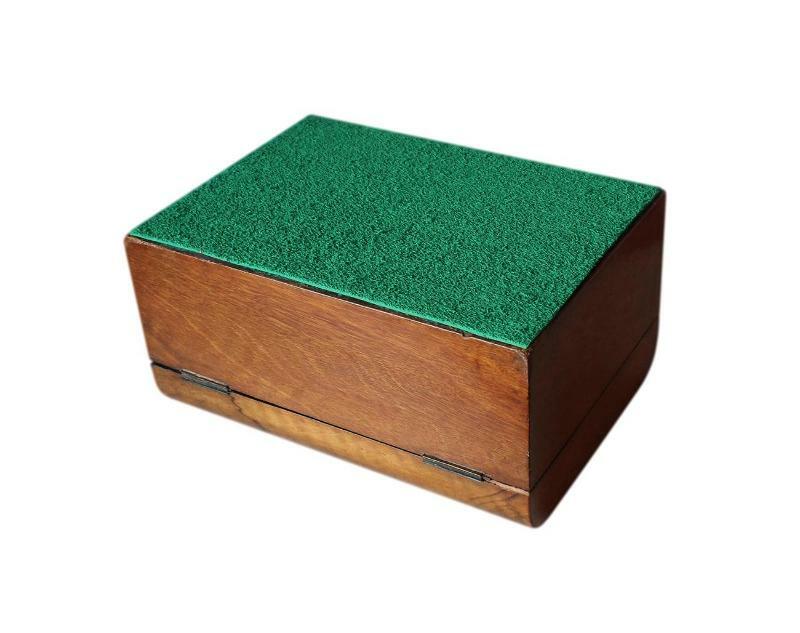 The pin holder is stored within a silk covered strip on the panel inside the lid. There are a few small silk covered buttons missing from the strip. The pouches were originally designed to hold cotton reels and silk threads etc. They could now be used to keep certain types of jewellery separate, if desired. 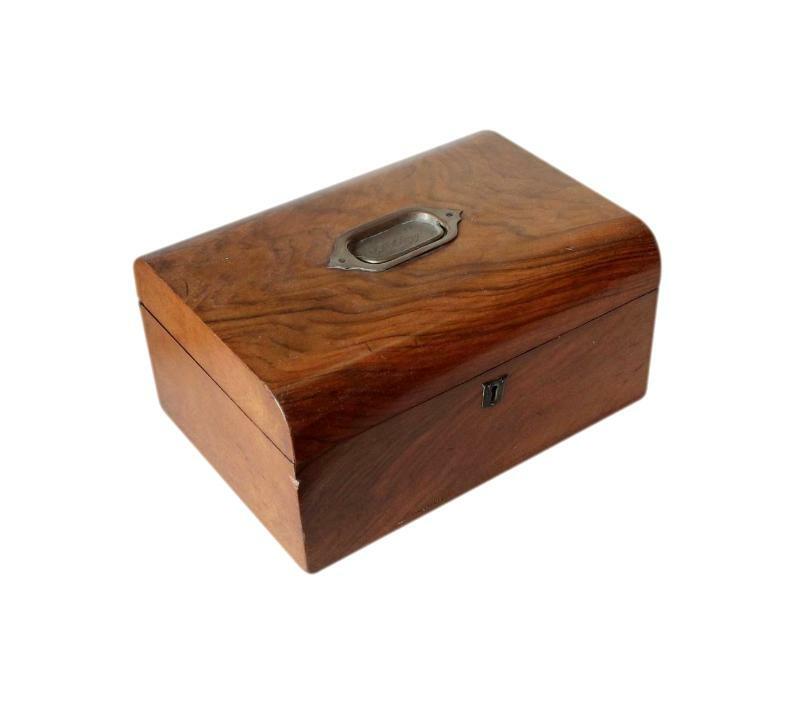 This lovely box is in very fair condition for its 140/150 years of age. 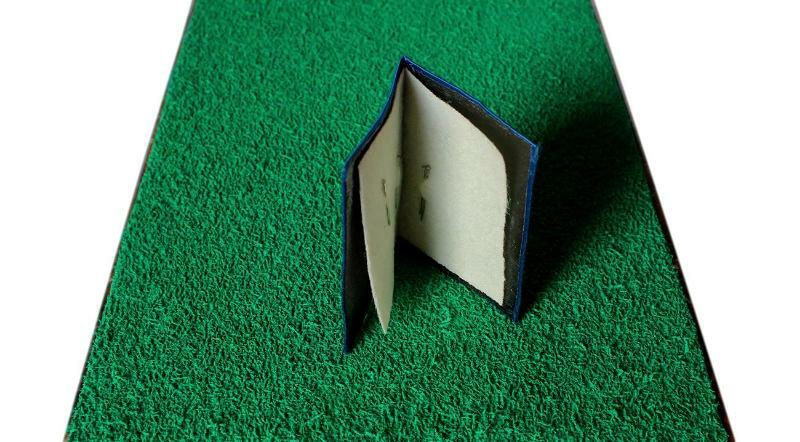 The interior silk linings are still in lovely clean condition with no nasty splits or fraying. There is one tiny white patch to the quilted panel in the compartment. There is some surface wear to the black ebonised edges to the interior. There are a two small pieces of the Walnut veneer missing, one on the right side of the lid and one on the front left side of the box. There are also a couple of fine hairline cracks within the veneer. One near to the bottom front of the box and one at the rear on the left side of the box. None of these flaws are overly obvious and they do not detract from the lovely overall appearance of the box. These flaws are quite common on boxes of this age which have been loved and used for their purpose. There is some wear and tarnish to the plate and its handle. 25.0 by 18.0cm with an 8.0cm depth. The depth is approximate due the uneven nature of the quilted panel. UK. This box will be posted FREE within the UK by Parcelforce Express 24hr Delivery.